People hear the word transformation, but they may not understand its meaning. How would you explain what transformation is? Transformation … it’s more like a metamorphosis. Like a caterpillar to a butterfly … Your values, your way of thinking, your actions, your total operating system is taking on a whole new life. It is taking on a new and total way of being, as opposed to say just changing a few actions. A butterfly is a total complete system and is quite different than a caterpillar. At the moment of transformation a total and complete system is intact. When the shedding of the chrysalis happens, a total new entity is born. And it is a complete system. When humans transform the thinking process, belief systems, ways of seeing, and actions come from a different paradigm. They take on a whole new process of living. 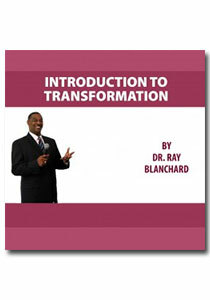 This audio program is designed as an introduction for individuals who have a renewed interest in “Transformation Work.” among the 16 easy to listen tracks, a few of the featured conversations include “transformation,” “relationships,” “inner qualities,” “circumstances,” “the game of life,” and “trust” among others.